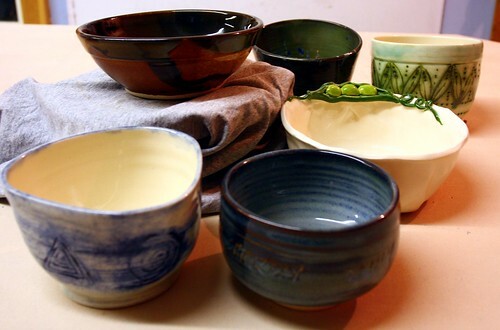 Just a quick post to show a preview of some of the bowls that are going to be at the Soupy Saturday this weekend! See the previous post for details and there is now also a facebook event. I'd also like to take this opportunity to thank Ron Arvidson, our instructor for coming up with this idea for a great partnership. I think it's going to be a big success! Nice shot of the bowls Martin. I'm sure they are going to go fast!! Enjoy the day, sorry I won't be able to be there.. I'll be looking forward to hearing about the event! !